After four years with Borussia Dortmund, Erik Durm will leave die Schwarz-Gelben and join VfB Stuttgart. The 2014 World Cup winner will sign a contract in Stuttgart after having completed his medical check as early as Friday. For Borussia Dortmund, the departure of Erik Durm means another significant step towards thinning out a squad that still includes 30 players. 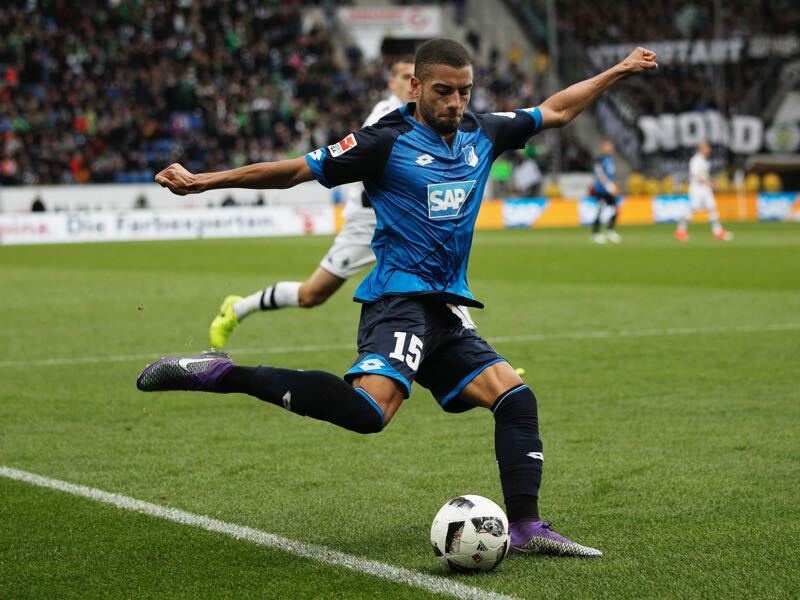 The departure of Durm and potentially Felix Passlack, who is going to join 1899 Hoffenheim on loan, will be compensated with the arrival of Jeremy Toljan. Despite comments by Hoffenheim head coach Julian Nagelsmann suggesting otherwise Toljan’s transfer is all but completed. Erik Durm in the meantime believed that it was time for a change. Originally a forward Erik Durm was converted by Jürgen Klopp to play as a right-back. Playing as part of a back four at Borussia Dortmund Durm took the league by storm during the 2013-14 season and managed to be included in the Germany squad that won the World Cup in Brazil—Durm was one of the few players, who did not feature in any match. Since 2014 Durm’s development has somewhat stalled. In 2014-15 Durm missed 14 games with various injuries. That number further increased to 32 games during the 2015-16 season when he was twice operated on his knees. Last season Durm missed another 23 games. Now at the start of the season, Durm is once again injured as he is struggling with a hip issue. The injuries meant that Durm never was able to fully show the sort of spark that made him one of the most interesting players in the league when he first burst onto the scene in 2013-14. Hence, with Dortmund looking to thin out the squad and with Durm wanting new surroundings to re-establish himself in the Bundesliga, the move makes sense for all parties involved. Stuttgart, in fact, could prove the perfect move for the right-back. The newly promoted side had been in the desperate hunt for a new right back. VfB Stuttgart have already demonstrated that they are not a typical promoted side. Last season Stuttgart averaged 51,000 spectators per game in the Bundesliga 2. Ahead of this season they restructured the club and earned €41.5 million from selling shares to Mercedes-Benz. Ahead of the season Stuttgart then went separate ways with sporting director Jan Schindelmeiser and replaced him with Bayern München’s technical director Michael Reschke. It was a surprising move as Schindelmeiser was considered the architect of Stuttgart’s return to the Bundesliga. But disagreements between Schindelmeiser and President Wolfgang Dietrich over how the squad should be put together let to the Schindelmeiser being replaced by Reschke. Reschke has since moved to fill the gaps in Stuttgart’s squad. One of key areas of concern was the right-back position and with Erik Durm available Reschke moved fast to complete the deal. Perhaps the only concern for Stuttgart will be Durm’s fitness. His injury history has in the past stifled his potential, and with Stuttgart wanting to hit the ground running to compete for a top half finish Durm will have to be at his best. Hence, arriving at Stuttgart with hip problems is not an ideal scenario, and it will be interesting to see how long it will take the medical staff of die Schwaben to get Durm to match fitness. Once fit Durm will be an excellent addition for Stuttgart and head coach Hannes Wolf’s style of football. 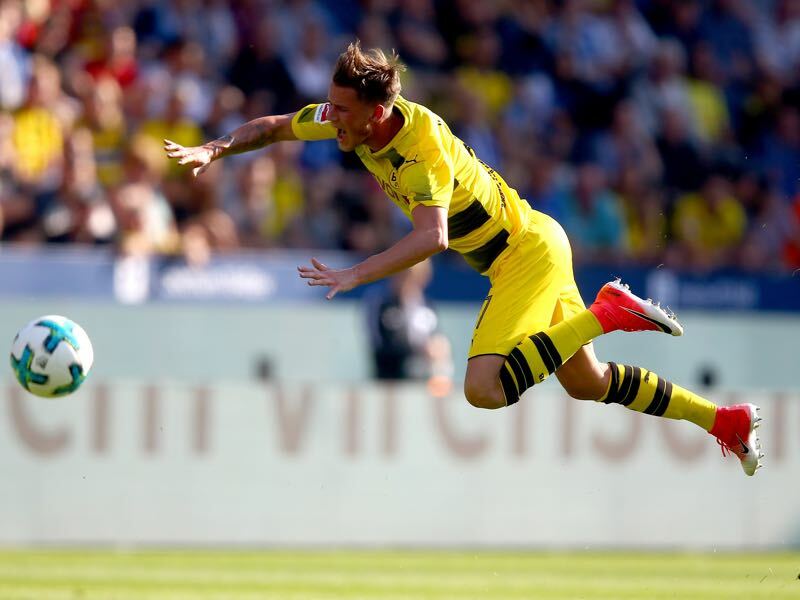 Fast and dynamic with a very good shot Durm is a marquee transfer. In fact with Joachim Löw a regular visitor at the Mercedes-Benz Arena Durm could even hope to return to the fold of die Mannschaft should he manage to stay fit for an entire season.